Classic DVF bouquet in one of our presentation boxes which comes complete with flower food. No need for a vase. 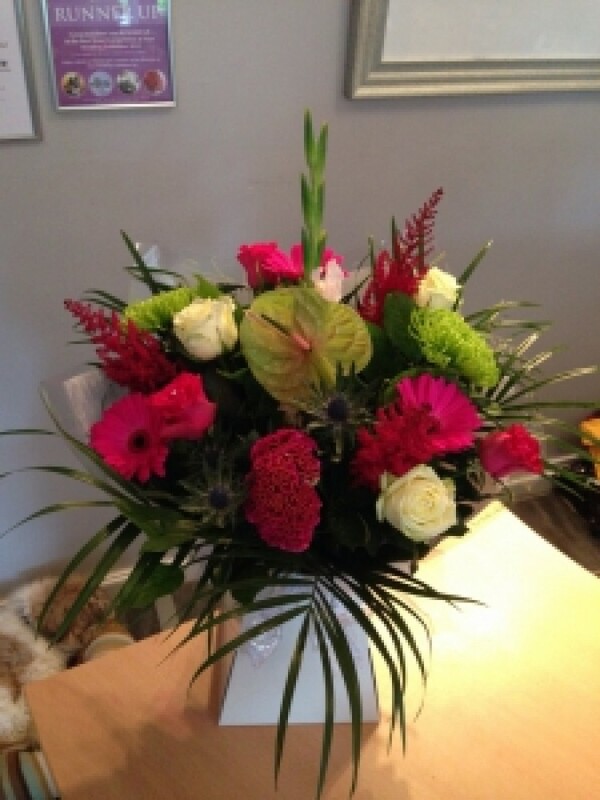 We have used our signature gerberas, roses, celosia, blooms, thistles, a lovely mix of greenery including Phoenix palm leaves and other flowers. The picture shown is the deluxe size.